Singapore Airlines' limited-time amenities kit trial ends once more. Will anything permanent come of this? Late last year, Singapore Airlines started giving out amenities kits to passengers in Business Class, the latest episode in the airline’s on-again, off-again relationship with the idea. The amenities kits were virtually identical to those given out as part of 2017’s 70th Anniversary celebration, and less charitable individuals might see this as “stock clearing” rather than an earnest trial to test customer preferences. But I’ve never believed in looking a gift horse in the mouth anyway, and stock clearing or not, it’s still a nice keepsake for passengers who happen to be flying during this period. 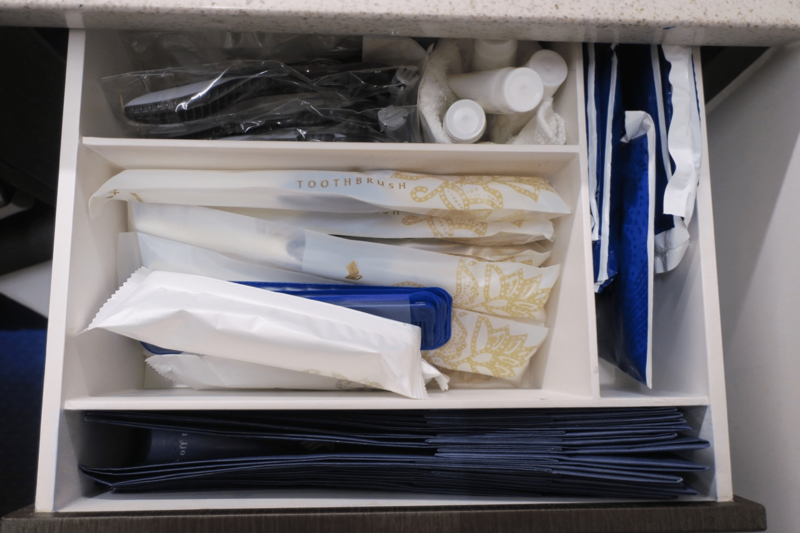 “The Business Class amenity kits were introduced in October 2018 on the ultra-long-range flights as part of a trial Singapore Airlines is conducting to better understand the amenities preferences of our Business Class customers. During these trials, the amenities were presented to our customers in a basket, and they are able to choose the amenities they prefer to include in their kit. The trial will continue till early January 2019. This experience matches what people are reporting in the Telegram Group– the last report of someone getting a kit came on 29 December, and subsequent data points on 12 & 13 January did not receive anything. One passenger was told that the trial ended 5 January, so that might be a timeline to go by. What amenities do you get in Business Class? It’s worth noting that the end of the amenities kit trial doesn’t mean SQ Business Class passengers don’t get any creature comforts at all. 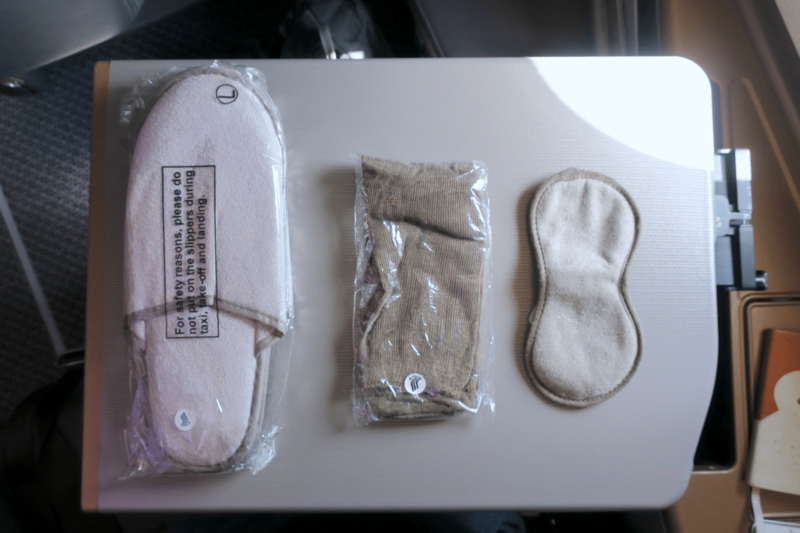 On long-haul and overnight flights, you should receive a pair of socks, slippers and eyeshades from the crew. Earplugs are available on request on all flights, and you’ll find combs, shaving kits and toothbrush sets in the loo. 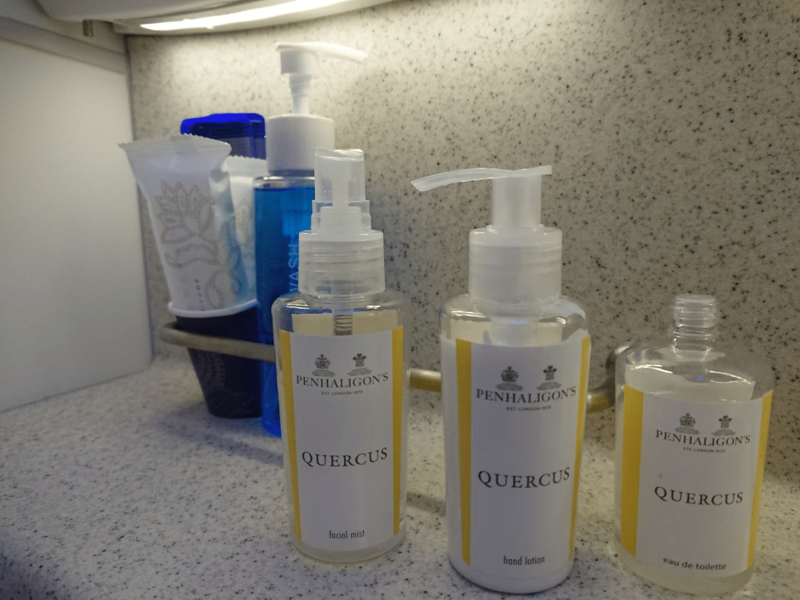 Also in the loo are communal bottles of Penhaligon’s facial mist, hand lotion and cologne, a welcome upgrade from the old Miller Harris amenities that SQ used to offer. If you’re flying in First Class, you’ll of course receive a full-fledged amenities kit from Lalique. It will be interesting to see what data came out of this trial- I’m guessing they were monitoring things like how many kits were left behind in the plane (you monsters), and perhaps anecdotal feedback collected by inflight managers through conversations with passengers. I also know that SQ ran a survey among KrisFlyer members in 2017 asking them for feedback on amenities kits, so hopefully all this is leading to something permanent. Flew back from Incheon on 1st Jan and I still got an amenities kit. ha, why don’t they do the same to the first class ? Checking how many kits are left behind. You will probably get the similar stats, so just say it, it is for cost saving. I also noticed that the real orchids in the loo have been replaced by fake ones. Maybe this was done some time ago but first time to notice it. So how did this affect your flight experience? I’ve gotten a kit on my flight to TPE on 10 Jan.
How about the SIA bears? I got one on each of HKG-SIN and SIN-MEL on 3 Jan. I quite like them, especially compared to the amenity kits on some carriers in J, so it’s a shame I won’t get one on my next SQ J in a fortnight. Just arrived from LAX this morning 23rd Jan and received a kit both ways. Flew from EWR-SIN on 13th Feb. Cabin crew claims they don’t distribute them anymore. Flew from LAX – SIN on 16 Jan and the amenity kit was still being distributed.